Situated on a rocky peninsula the resort of Pomorie is set in beautiful natural surroundings making it an attractive place for year round recreation and various health treatments. The town was founded in IV century B.C. near a salt lake considered "sacred" by the ancient Thracians because of its healing powers. Pomorie once rivaled Nessebar in antiquity and architecture but was mostly destroyed by fire in 1906. There are still interesting things to see in the town with its occasional cobblestone streets and traditional wooden houses. Pomorie holidays are for the families or anyone who like to relax and get away from the busy beaches. The hotels in Pomorie are very fortable and provide wanderful conditions for beach holidays. The town is well famous resort and featured many restaurants serving local dishes and sea foods. A great number of SPA hotels in Pomorie offer outdoor swimming pools. There are many trips by boat, yacht and coaches. 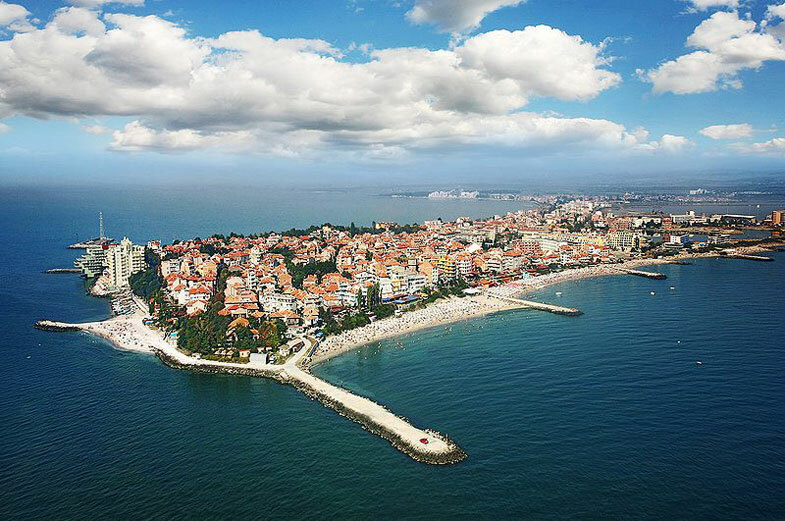 The town of Pomorie is surrounded by the salt lakes and sandy beaches. The very peaceful area attract a lot of tourist during the summer close to it are Nessebar, Sunny Beach and St. Vlas. The most stunning seaside and SPA resort in Bulgaria, which is prefered by thousands of people all year round. The curative waters, spa treatment and wellness plans assign the resort as most sought on the Black sea. There are four SPA centres with so many procedures and recreation facilities, which combines the lakes mud and sea water treatments in so effective ways. The mud which is extracted from the lake bed is ranked among the best in the world for its proven medicinal and healing properties. The mud is a natural product formed from organic and non-organic compounds, which are activated by biological, chemical, and microbiological processes,taking place naturally on the Pomorie lake bed. The abundant healing properties contained in the mud include: hydrogen sulphate-0.2g to 100g mud, magnesium- 0.15g, chloride-1.7g., calcium- 0.03g., sodium-0.98g., sulphate, iron compounds etc. Please read hotel reviews, promotion, bookings and choose from our hotel list the best hotel deal for your summer holidays in Pomorie.